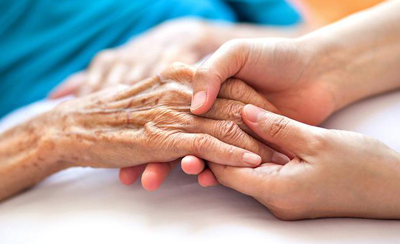 The field of Palliative Care has been growing exponentially during the last 30 years. The term “palliative” refers to interventions that focus on managing symptoms and decreasing suffering when curing the underlying disease may not be possible. While many people still associate the term “palliative care” with “end of life care,” the scope of palliative care includes supportive care interventions for symptom management and psycho-social-spiritual support at all stages of disease progression – from early diagnosis to end of life. Randomized controlled trials have shown that providing palliative care from the time of diagnosis may greatly affect patient’s quality of life and, for some people, even improve life expectancy. The growing utilization of evidence-based integrative therapies in oncology and palliative care speaks about a paradigm shift in which we highlight the importance of non-pharmacological modalities, particularly in addressing side effects from conventional treatments and in providing comfort, relaxation and psycho-social-spiritual support. Integrative Palliative Care (IPC) is an emerging field in medicine that involves the use of evidence-based conventional and complementary approaches together to provide care for people facing life-limiting illnesses or approaching the end of life. IPC addresses the whole person as a multidimensional being - caring for the body, mind, spirit and relationships. This special issue will focus on the utilization of integrative therapies as supportive care in palliative care environments. We are seeking publications that address integrative approaches in different populations such as cancer, neurodegenerative diseases, heart failure and COPD. We would like to emphasize the broader meaning of palliative care as supportive care, and therefore, we are also interested in publications addressing conditions such as arthritis and other chronic incurable conditions, which affect large numbers of people and can benefit profoundly from integrative approaches. Therapies of interest include acupuncture and related modalities, massage, biofield therapies (such as healing touch, therapeutic touch, reiki), expressive art therapies (music, graphic arts, narrative medicine), mind-body and contemplative therapies (such as meditation, guided imagery and hypnosis), mindful-based movement therapies (such as tai chi/qigong and yoga) and aromatherapy. Palliative care environments of interest include from integrative oncology outpatient and inpatient settings, to rehabilitation in neurodegenerative and vascular diseases, to geriatric and nursing home environments. Related topics of interest include enhancing the patient experience, creating optimal healing environments, patient-centered and relationship-centered care, consciousness and spirituality, integrative oncology interventions, integrative therapies in geriatrics, integrative therapies for family caregiver support and programs that teach integrative interventions to family caregivers. Other relevant topics will be also considered.